Members of Acworth Leprosy Hospital - Research, Rehabilitation and Education Society and Hind Kusht Niwaran Sangh (Maharashtra Branch) met at the A.L. Hospital, Wadala, Mumbai on 31/10/11 and discussed on the various leprosy eradication programmes in Maharashtra and steps to empower and enlighten the persons cured of leprosy. This Diwali, let's brighten up a child's life. 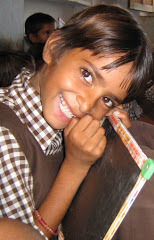 Educate a child.....Enrich your life. Inaugurating the plantation drive organized at Jade Garden, Sadahalli, Bengaluru, Sri Ramachandra Gowda, Deputy Chairman, Karnataka State Planning Commission said that planting trees was no more for the pleasure of the eyes or for decoration but for our survival. He appreciated the efforts of Jade Garden Plot Owners Association (JGPOA), Standard Chartered Bank (SCB) and Indian Development Foundation (IDF) and stressed that such initiatives should be replicated in good members by the people from all walks of life. 700 plants at one go was planted at Jade Garden by IDF and SCB Social Champions on 22nd Oct. 2011. Talking on the occasion, Dr. S. Franklin, Manager - Southern Region of IDF said that the Plantation Drive was a pan India program jointly organized in collaboration with Standard Chartered Bank. According to him the program aimed at impressing upon the urban elites towards creating greener cities across the country. He appreciated SCB team for spending useful resource for a green earth movement and involving its staff for the noble cause. He praised JGPOA for gracefully coming forward to allot a large space of its residential premises for the cause of green earth and a healthy environment. Mr. A. G. Prakash, Principal of Sri. Ayappan High School, Jayamahal, Bengaluru lamented the gradual depletion of forests in India. Attributing the scenario to ignorance, he called for planting more number of trees towards good heath and well being of our people. He appreciated the wonderful humanitarian and nation building activities undertaken by IDF. Neha, student of CMR Institute of Technology, Bengaluru talked on the importance of planting trees. IDF young social ambassador Karan Dravid (12), administered oath towards protecting the nature. Earlier, Capt. Vikram Diesh, Hon. President of Jade Garden Plot Owners Association, welcomed. Mr. Ravi introduced the guests. Mr. Gururaj, Hon. Secretary of JGPOA made all the arrangements in a fitting manner. Mr. Muthukumar, Mr. V. Narayan, Mr. Rajiv Nair, Mr. Rohit and several other important functionaries from Standard Chartered along with a good number of social champions from the bank, Students and staff from leading educational Institutions, Members of NGOs and JGPOA took part in the event with zeal and enthusiasm. Noted educationist and dean and director of PSBB Group of Schools Dr. Y.G. Parthasarathy was awarded with IDF Karmayogi Award 2011 at a public function organised by Indian Development Foundation at Bharatiya Vidya Bhavan, Mylapore, Chennai on 12th Oct. 2011. Mr. N. R. Murali, Dy. 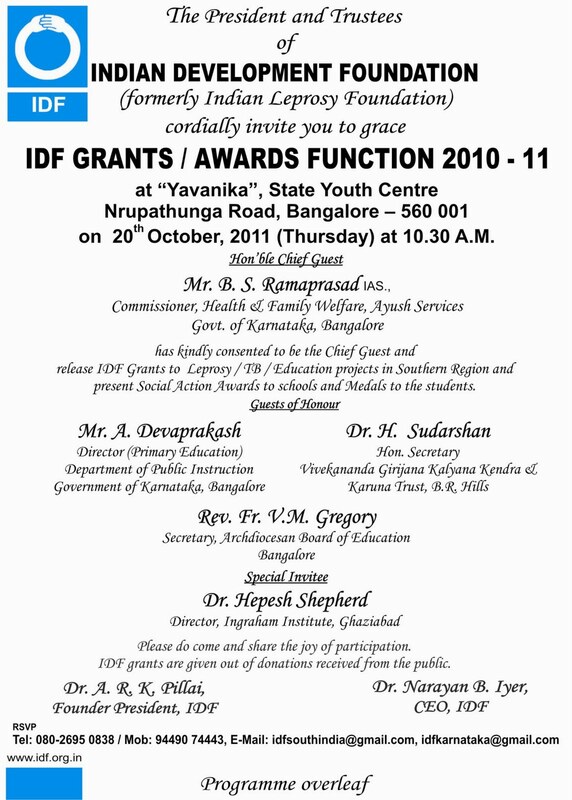 Commissioner, Kendriya Vidyalaya Sangathan presented IDF Karmayogi Award 2011 to Padma Shri Dr. (Mrs.) Y.G. Parthasarathy, Dean and Director of PSBB Group of Schools for her sterling contributions in the field of education in India. YGP's diverse interests in enterprising strides, futuristic thinking, boldness in action and overflowing goodness mark her out as a Titan among modern Indians, expressed Mr.Murali while presenting the Karmayogi Award to the octogenarian. Dr. A. R. K. Pillai, founder President, Indian Development Foundation congratulated Dr. YGP for getting this prestigious award and said IDF has been giving IDF Karmayogi Award once in an year in national level for to change-makers and Titan of India. People who give importance to their Karma and do their best for the society need to be bestowed with such prestigious awards. 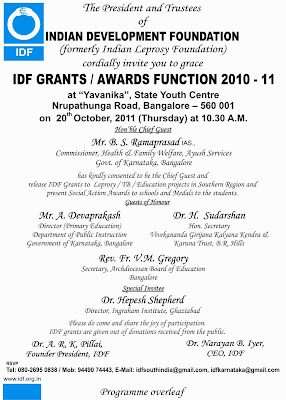 IDF started giving IDFKarmayogi Award from 2009 and Dr. YGP is the third recipient and first in Tamil Nadu. The earlier recipients of this Award are Dr. H. Sudarshan (2009), Hon. Secretary, Vivekananda Girijana Kalyana Kendra, BR Hills for Tribal development and Mr. Pabudan Singh (2010), Chairman of Tagore Group of Institutions in Jaipur for education development programmes in Rajasthan. Thanking IDF, the octogenerian Dr.YGP said education is very important in life which can transform and individual towards a better life. PSBB Group will ever remain committed in providing excellent education with utmost devotion and dedication. Mr. M. Anandan, Dy. Director, Doordarshan Kendra, Chennai - Mrs. Chitra Prasad, Correspondent, NSN Matriculation Hr. Sec. School and Mr. J. Ravichandran, CEO, German Leprosy & TB Relief Association - were Guests of Honour at the function. They complimented Indian Development Foundation's role in national development programmes and also congratulated Dr.YGP for getting the title of `Karmayogi'. The Mother Teresa Memorial Award was presented to St. Francis Anglo Indian High School at a function held at Bharathiya Vidya Bhavan in Chennai on Wednesday. The award instituted by the Indian Development Foundation (IDF) is given to schools for excellence in social responsibility, health awareness programmes and mobilising voluntary resource. The school bagged the award for its outstanding service in mobilising resources for TB and leprosy treatment. Rev. Sr. Alphonso, Principal, received the award from N. R. Murali, Deputy Commissioner, Kendriya Vidyalaya Sangathan. “India's progress in leprosy eradication efforts had been spectacular and the participatory work by governmental and voluntary agencies was laudable,” said Mr. Murali, who was the chief guest for the event. He presented awards to the principals of 89 schools in Tamil Nadu and Puducherry for their contributions in leprosy/ TB awareness programmes and resource mobilisation. He also awarded medals and certificates to 536 students for their meritorious achievement. Dr. A.R.K. Pillai, founder president, IDF, presided over the function. 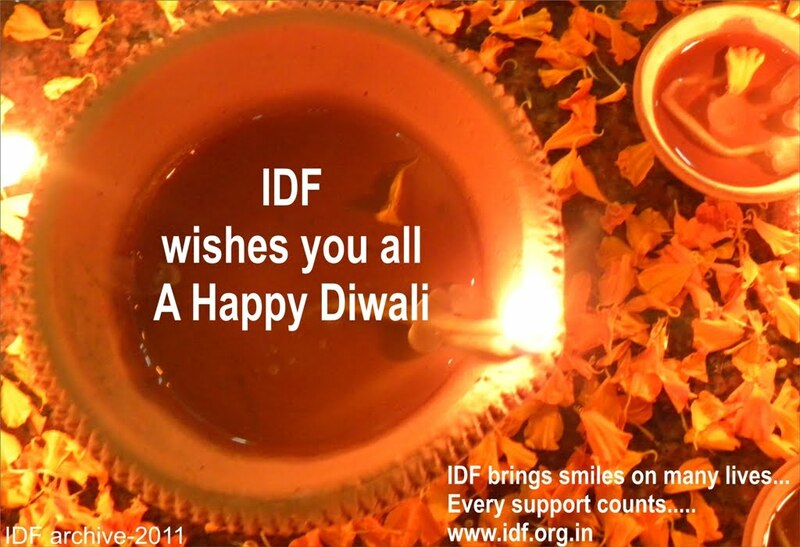 IDF had earmarked grants of Rs.60 lakh to 120 health/ development projects all over India. Grants to leprosy/ TB hospitals and projects in Tamil Nadu, Andhra Pradesh and Kerala regions were also distributed. M. Anandan, Deputy Director, Doordarshan Kendra, Chennai; Chitra Prasad, Correspondent, NSN Matric. Hr. Sec. 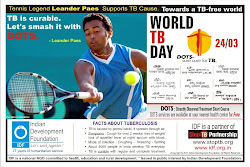 School; and J. Ravichandran, CEO, German Leprosy and TB Relief Association, were the guests of honour. "Uttam Shiksha" was launched for the development of the Asia's second biggest slum - Malwani in Malad (West), Mumbai on 8th Oct. 2011. Mid-Day Meal, Health, Cleanliness Drive, Bal Gurukuls, Education and Skill Training are the major agenda of Uttam Shiksha. Bhavan Vidyalaya, Chandigarh Team - Mrs. Vineeta Arora, Ms. Inderpreet Kaur, Mrs. Taruna Vashisht, Ms. Neeraj and Ms. Sheetal Sharma expressed happiness on extending continued support to IDF's leprosy/TB and education programmes. Rev. Fr. Biju P. Thomas, Chairman, St. Mary's School, Chandigarh congratulated IDF team for the wonderful social responsibility programmes carried out in India. Dr. Narayan Iyer presenting a floral bouquet and a copy of `Hope on the Horizon' . 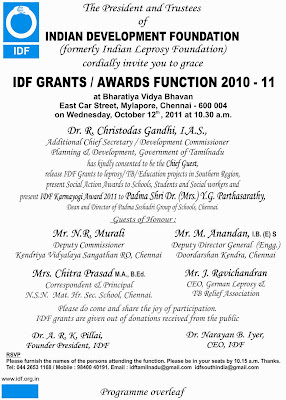 Indian Development Foundation presented IDF Award of Excellence to Bharatiya Vidya Bhavan's Bhavan Vidyalaya at Chandigarh on 4th Oct. 2011. Dr. Narayan B. Iyer felicitated 36 students with IDF medals and certificates for their excellent social responsibility. Mrs. Vineeta Arora, Principal - Ms.Inderpreet Kaur, Vice Principal - Ms. Sheetal Sharma, Co-ordinator from Bhavan Vidyalaya Senior Wing and Mrs. Taruna Vashisht, Principal - Ms. Amarpreet Kaur from Bhavan Vidyalaya Junior Wing received IDF Social Action Award for their splendid social service supporting leprosy/TB and education projects of IDF. 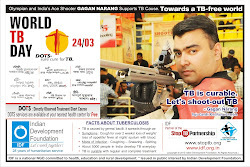 Dr. Narayan and Mr. Nehmiah Chirag from IDF conveyed their special thanks to the schoolteam. Ms. Varnika Sharma and Ms. Aayushee Arora from Bhavan Vidyalaya topped the students list the entire northern India zone. 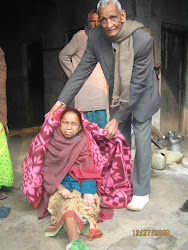 "Be the change you want to be"
‎"Leprosy work is not merely medical relief,It is transforming frustration of life in to joyof dedication, personal ambition into self-service".................words of Mahatma GandhijiThe cherished dream of a Mahatma Gandhi has come true. Indian Development Foundation (formerly Indian Leprosy Foundation) feels proud and happy to be part of leprosy eradication movement for nearly three decades now. Rehabilitation and empowerment of leprosy-cured persons are now in the agenda. Dr. Narayan Iyer visited Sarthak Manav Kushthashram, Jaipur and greeted all the inmates a Happy Gandhi Jayanti. St.Angela Sophia Sr. Sec. School, Jaipur presented the voluntary contributions mobilised for the cause of leprosy/ TB and education programmes of Indian Development Foundation. Rev. Sr. Helen, Principal of the school congratulated IDF for the wonderful social programmes carried out in Rajasthan and other parts of India. She also felt happy that her students are constantly supporting various social causes, particularly leprosy and get the feeling of satisfaction and happiness. Dr. Narayan Iyer and Mr. Simon Peter thanked Sophia Team for the kind and continued support extended to IDF and appreciate the social responsibility of the young minds. The voluntary support given by every student will mean a lot to the poor and the needy, Dr. Narayan said.